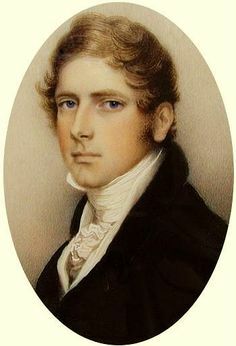 I planned for my Marquis of Aldridge to be a real rake: a person whose behaviour, despite his social status as the heir to a duke, causes mothers to warn their daughters about him. On the other hand, I didn't want him to be a totally unsympathetic character. He made his first appearance in a two part post I wrote with Mariana Gabrielle in March last year. And he was a real rakehell. Both men fell into rather a trance for a few minutes, remembering the plump thighs and comely smiles of the rector’s twelve lovely, lonely daughters. As it turned out, his early appearance prompted another book featuring him, A Baron for Becky, in which he was, once again, not quite a hero. Aldridge never did find out how he came to be naked, alone, and sleeping in the small summerhouse in the garden of a country cottage. His last memory of the night before, had him twenty miles away, and—although not dressed—in a comfortable bed, and in company. The first time he woke, he had no idea how far he’d come, but the moonlight was bright enough to show him half-trellised window openings, and an archway leading down a short flight of steps into a garden. A house loomed a few hundred feet distant, a dark shape against the star-bright sky. But getting up was too much trouble, particularly with a headache that hung inches above him, threatening to split his head if he moved. The cushioned bench on which he lay invited him to shut his eyes and go back to sleep. Time enough to find out where he was in the morning. As he enters one book after another, he is becoming a more and more likable character, though certainly not yet benign. You might trust him now with your virgin daughter, which you would have been wise not to do when he was in his late teens. But you wouldn’t trust him with your wife. 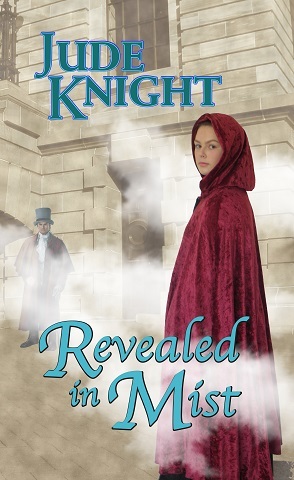 He’ll be back in Revealed in Mist, which is set several months earlier than A Baron for Becky. Aldridge navigated the shoals of the marriage market with practiced ease, holding the mothers and their daughters off, but still not offending them, and carrying out a gentleman’s role in the ballroom with every evidence of enjoyment. But his real success, by all accounts, was with bored widows and wives, where he performed in the bedroom with equal charm, and perhaps more pleasure. Society was littered with former lovers of the Merry Marquis, though he had the enviable ability to end an affair and retain the friendship. The beginning of its sequel, Concealed in Shadow, puts him on track for the garden in which he meets Becky. Eventually, we’ll get to The Reformer and the Rake, but I have some more tortures to put him through first. And the torture continues much, much later, in, Never Kiss a Toad, the book I’m cowriting with Mariana Gabrielle and posting on Wattpad. This shows him as the father of a grown daughter; one who is found in bed with a rake he himself has tutored. 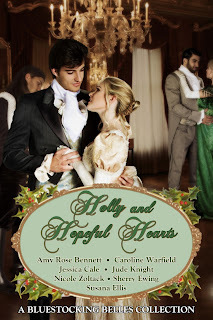 Here he is in several different books from the Holly and Hopeful Hearts boxed set. Two gentlemen in formal dress leaned gracefully against an ornate mantelpiece at one end of the ballroom. Each wore a simple mask, one black and one white; neither wore a costume. Could one be Adam? Esther inched her way in that direction. She had not gone very far, however, when she realized her mistake. There could be no denying Aldridge’s confident posture and arrogant tilt of head. Is the one next to him Gren? The incorrigible flirt confirmed it with a wink and a cocky salute. At least he noticed her. A young lady rather scantily clad as a Greek goddess, Lady Miranda, she suspected, swooped in front of the brothers and drew their complete attention. Even at a distance, she could see them both shift into the role of charming rake, no costume needed. “Your mother has been very gracious,” Grace replied kindly. “As to annoying my sister, I would like nothing better than to set her down a notch or two in her confidence to always get her way.” She took up her wine glass and watched the man next to her over the rim, even venturing to cast him a mischievous smile. “Then let me raise a glass in salute to the beauty of your eyes and the charming color that rises under your smooth and silky skin,” he purred, suiting action to word, and somehow making the act of placing his lips on the rim of the wine glass seem… Goodness. Had he just swiped his tongue across the rim? Grace watched the marquis in mild fascination, having never been on the receiving end of such a seduction, for lack of a better word. I’ve written very little of The Reformer and the Rake; just the first few paragraphs. But they show Aldridge drowning his sorrows at his rejection by my reformist heroine. Or burying them, at least. He could not sense the presence of Lady Charlotte Winderfield in his room. The idea was ridiculous. For a start, the bluestocking social reformer they called the West Wind would rather die than enter the bed chamber of any man, let alone the notorious Marquis of Aldridge. For another, he was not in a position to sense anything outside of the plump white thighs of Baroness Thirby, unless it was the expert ministrations of her close friend, Mrs Meesham. Lady Thirby's thighs blocked both his ears and his line of sight, and— in any case–no-one in the room could hear a thing over the yapping sounds she made as he drove her closer to her release. And he could not possibly smell the delicate mix of herbs and flowers that drove him crazy every time he was in Lady Charlotte's vicinity; not over the musk of Lady Thirby's arousal. Damn it. The thought of the chit was putting Aldridge off his own release, despite Mrs Meesham's best efforts. It was no use pining after her. With his reputation, her family would not even consider him. And if they could be persuaded, she couldn't. She had made her opinion perfectly clear. Above him, Lady Thirby stiffened and let out the keening wail with which she celebrated her arrival at that most delicious of destinations. At any moment, she would collapse bonelessly beside him, and he could maybe bury himself in her or her friend and forget all about the unattainable Saint Charlotte. Instead, Lady Thirby stiffened still further. "What is she doing here?" She scooted backwards so that she could look him in the eye, still crouched, thank the stars. He didn't fancy the weight of her sitting on his chest. "It's one thing to do this with Milly. But you didn't say you were inviting someone else." Standing in his doorway, her lips pressed into a tight line and her face white except for two spots of high colour on her cheekbones, was the woman of his fondest dreams. And she didn't look happy to be there. The cold air on his damp member told him that Mrs Meesham had likewise abandoned what she'd been doing to stare at the doorway. "She's never here for a romp, Margaret. She's one of the Winderfield twins." Aldridge sighed. He couldn't imagine what sort of a crisis had brought Saint Charlotte here, but clearly he was going to have to deal with it. "My lady," he said, "if you would be kind enough to wait in the next room, I'll find a robe and join you." She pulled her fascinated gaze from what had been revealed by Mrs Meecham's movement, and glared at him. 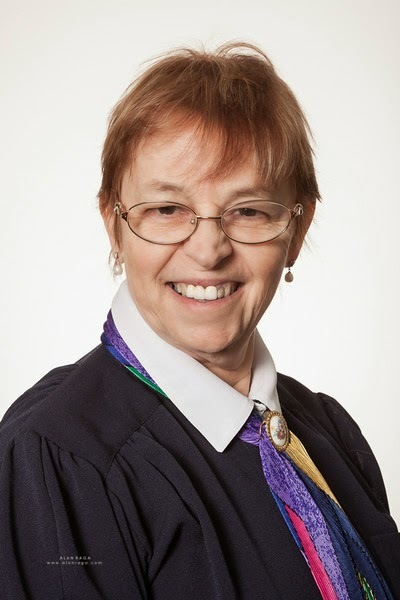 "More than a robe. You have to come with me and we have no time to waste." "He can't go out," Mrs Meecham objected. "Aldridge," (when Lady Charlotte said nothing but just retreated into the next room), "you can't go. You haven't done me, yet." Aldridge had already left the bed, and was pulling on his pantaloons. "I am sorry to cut our entertainments short. Sadly, the messenger -- who, by the way, neither of you saw," (he gave them the ducal stare inherited from generations of noble ancestors), "brings me word of an appointment I cannot miss. My heartiest regrets. Please, feel free to carry on without me." He bowed with all the elegance at his command. He could shrug into his waistcoat and coat and pull on his boots while she told him what the problem was. It was a little late to worry about appearing in front of her improperly dressed. 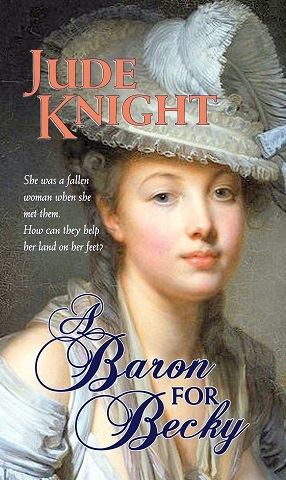 She writes historical novels, novellas, and short stories, mostly set in the early 19th Century. Jude has had a career in commercial writing and publishing and is committed to quality and to peer review. All of her books are professionally edited and proofread. Since publishing Candle’s Christmas Chair in December 2014, Jude’s name has seldom been off Amazon bestseller lists for one or more books. She is a member of Romance Writers of New Zealand, and of the Beau Monde chapter of Romance Writers of America. Jude has an active blog and website with a monthly average of 1000 views (and growing) and a newsletter list of 512. She is also a member of the writers’ co-operative, the Bluestocking Belles, and one of the two Belle leads on The Teatime Tattler, for which she writes regularly. Aldridge... just reading his name makes me "sigh". A lovely piece, Jude and Jessica. I am honored to have your Marquis in my novella, Jude! I can see why! I really enjoyed seeing his development through the excerpts. It's wonderful to see it from Jude's perspective! So interesting!